What does Rock Royalty have for breakfast? 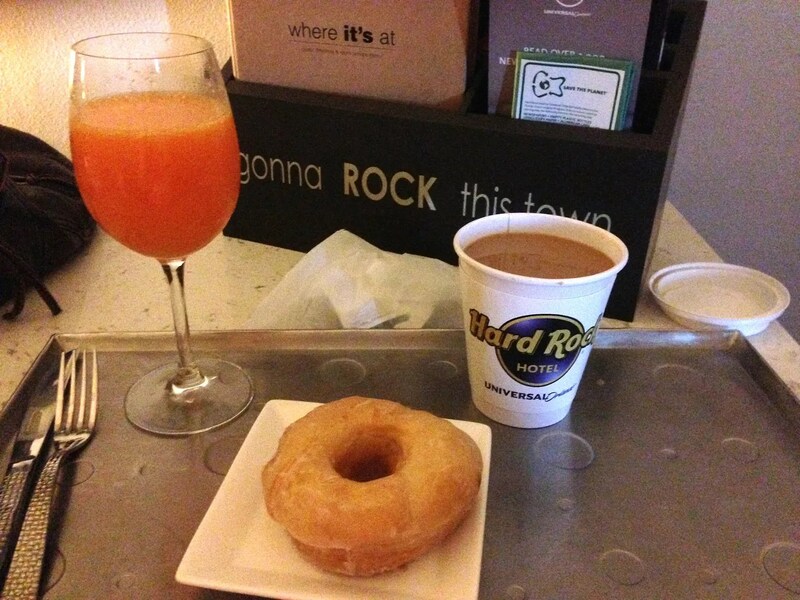 I was the second one up this morning, so while I waited for my turn in the the shower I decided to throw on some clothes and check out the breakfast offerings in the Rock Royalty Lounge. I must have still been half asleep because I forgot to grab my camera, so consequently all the photos in this review were taken with my phone and are not very good. Anyway, according to the time on my first photo, I was at the lounge by 7:20. 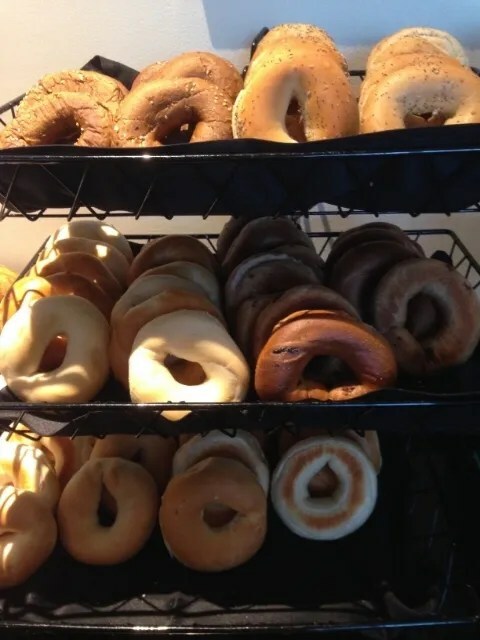 It had opened at 7:00 a.m. so I was not expecting it to be very busy yet, but I was wrong. The lounge was not only hopping but some of the food looked like it had already been hit hard in the first 20 minutes after opening. 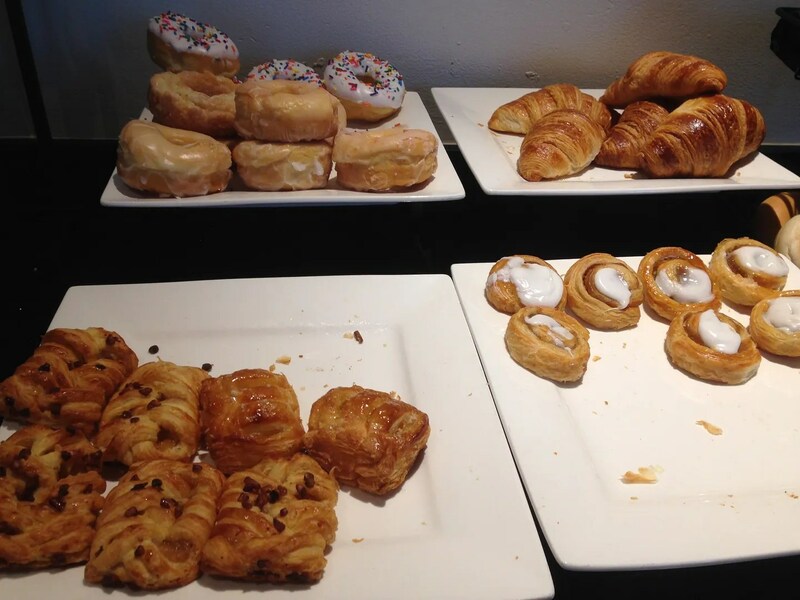 So far I bet you are not terribly impressed with the breakfast of Rock Royalty, right? MIMOSAS?!?! Ladies and Gentlemen, we’ve just hit the jackpot!! 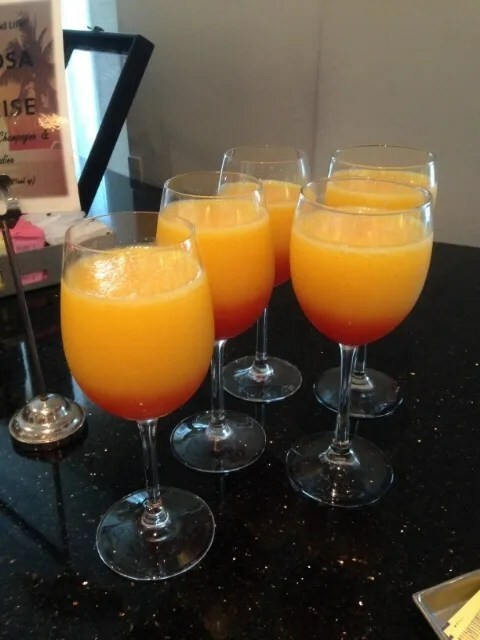 …where the mere mention of the word “mimosa” got everyone out of bed and to the lounge for their own mimosa in record time. So how does Rock Royalty spend their mornings? 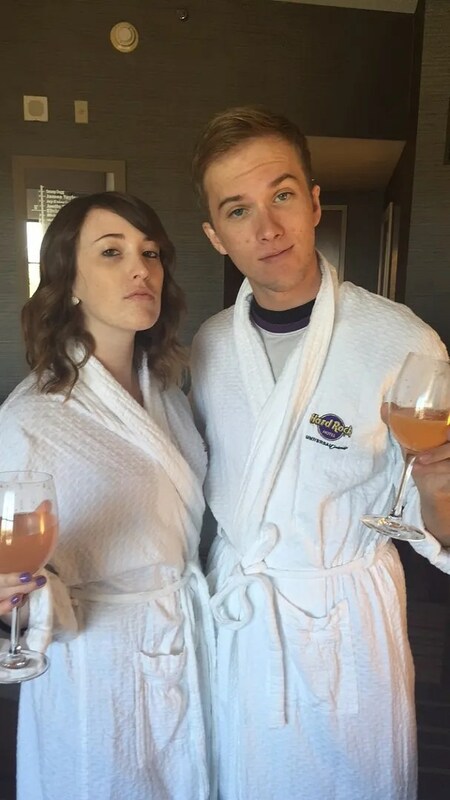 Well, these two Rock Royals stand around in their bathrobes sipping mimosas! 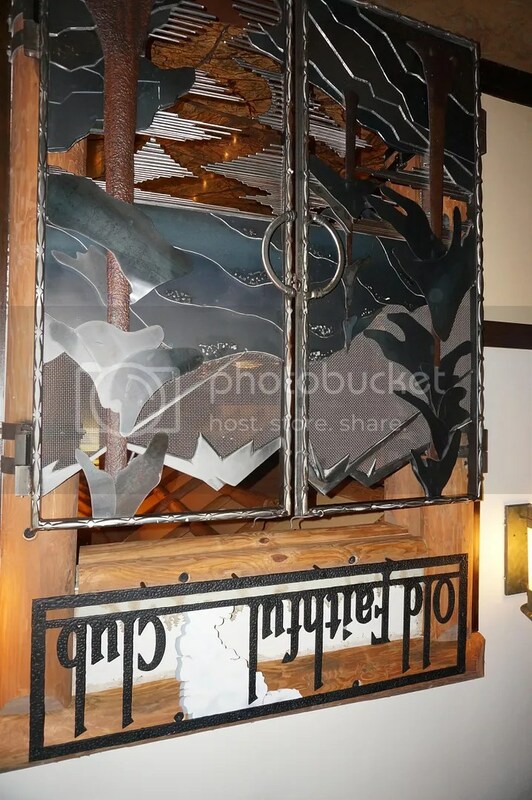 And since that is my final review for our 2 night stay at the Hard Rock’s Club Level, it’s time to briefly compare it to our one night at Disney’s Animal Kingdom Lodge Club Level. 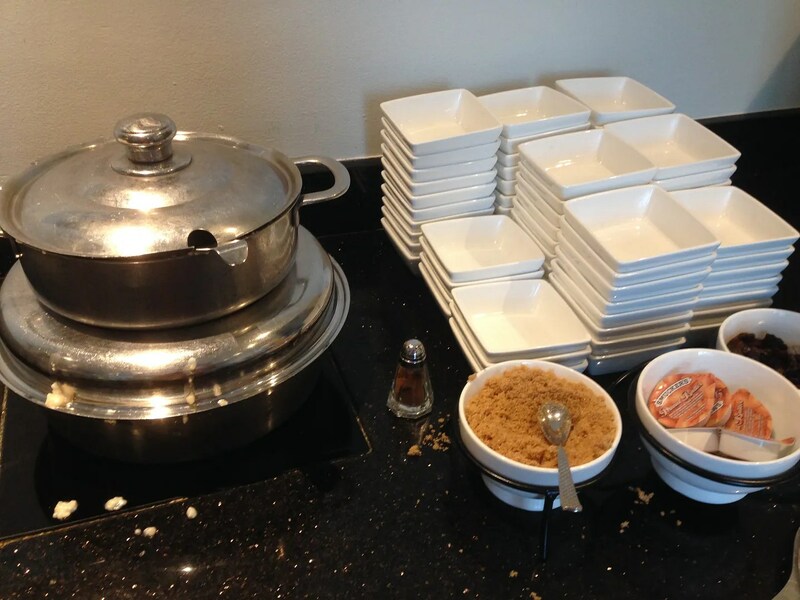 In terms of food, we preferred the spread that the Hard Rock put forth during their Evening Reception over the more gourmet appetizers at AKL (such as the Trofie Cut Pasta with Fufu Cheese Sauce and the Mozambique Duck with Bulgar Pilaf and Quince Jus). 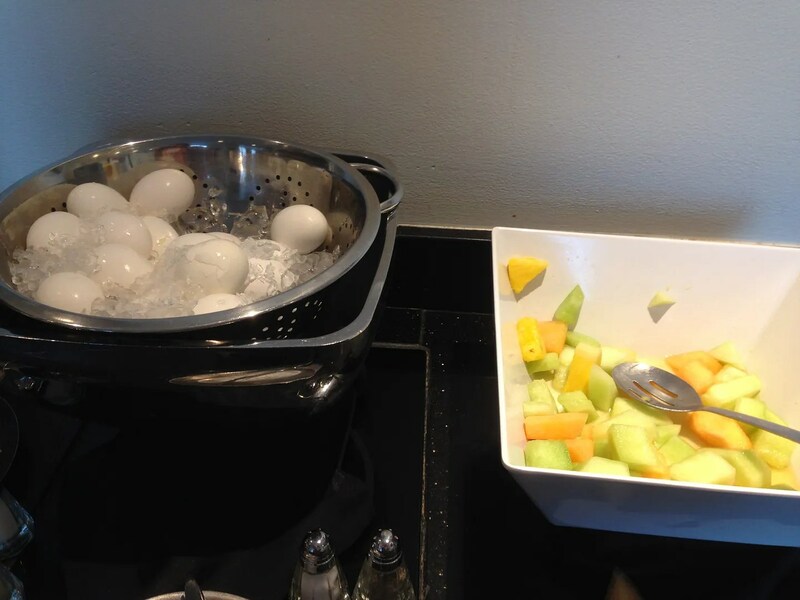 However, the Afternoon snacks and Continental Breakfast were far better at Animal Kingdom Lodge, although the HRH gets points for the breakfast mimosas. Oh, and then AKL also has the Afternoon Tea, a nice addition to the usual CL offerings. So overall I’m going to have to declare the AKL’s Kilimanjaro Club the winner in the Food Category. As for their level of customer service, now that’s a tough one. While the Concierge staff at the AKL were more interactive with their guests, I didn’t find them to be particularly friendly all the time, plus of course there was the whole room check-in and Magic Band debacle. Also, I have to subtract points from AKL for the inconvenience of having many of their CL rooms on the 4th floor, two floors down from where the Kilimanjaro Lounge and the CL staff desk are located. As for the HRH, I don’t recall any of the staff even saying “hello” to us when we entered the lounge, where their desk was located. However, I do give them credit for employing a friendly bartender. So overall, who is the winner in the Service category? Hmmm, I’m actually going to have to give this one to…. …the Old Faithful Club staff at the Wilderness Lodge! In fact, if I threw them into my overall “CL Experience” ring with the HRH, the AKL, and the Yacht Club (my other fairly recent CL experience), it would be the Wilderness Lodge that would come away the champion. So there you have it, one person’s opinion…YMMV.